Trish Clair is a Canadian educator, chamber musician and fiddler living in Nanaimo, BC. She teaches a large private Suzuki studio in Nanaimo, where she is also the director of the VanIsle Fiddlers and coordinator of the Vancouver Island Traditional Music Workshop. She teaches regularly with the Kole Crook Fiddle Association and Fiddleworks Community Development Society, reaching out to children across Canada’s northern and arctic communities. She also teaches at several other fiddle and Suzuki summer camps across Western Canada, having been on faculty at ASSI (Edmonton, AB), Yukon Summer Music Camp (Whitehorse, YT), and Selkirk College Fiddle Camp (Castlegar, BC). Trish performs as violinist and violist in the Sonora String Quartet alongside Karl Rainer, Hannah Wilson, and James Mark. 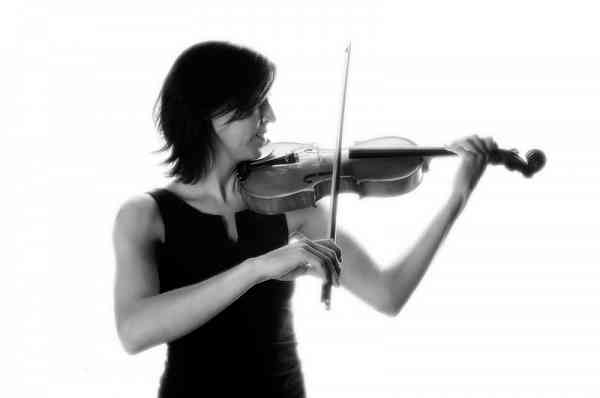 Her first solo fiddle recording, Dawson’s Tumble, was nominated for a Canadian Folk Music Award in 2007 and a second CD of original tunes, Providence, was released in July 2010. She holds a BMus (violin performance) from the University of Western Ontario, where she studied with Gwen Thompson and Bob Skelton. Trish is also the co-author of Cross Canada Fiddle Tunes with pianist/fiddler Geoff Horrocks. Together Trish and Geoff have created an exciting series of educational materials for students and teachers of traditional and contemporary fiddle music.